Rotates and scales a square, Giving the impression that there is a whole new shape. To view this, click on the image on the right. Feel free to read/adapt the source code of it. Every particle interacts with another one by unsing its position and applying a intresting mathematical formula. Welcome to DominikSchmid.de. Please Enjoy your stay! My own platfrom arena-shooter game. 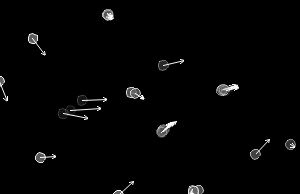 experiments with the idea of gravity not always pointing down and other cool game mechanics. Written in C++ and using SFML media library. 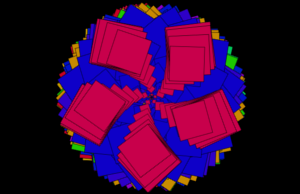 It is a specifically arbitrary kube engine. Working together with friends on it. I'm currently living in Lower Hutt, NZ.